You might find your Twitter posts some random post without your knowledge and permission. And it's worse when your Twitter posts a weird URL link that risks your followers who click the link, they might also get infected just like your Twitter. We will explain you how to fix and prevent this from taking control your Twitter. These tricks only work from computer and from mobile that support webpage view. 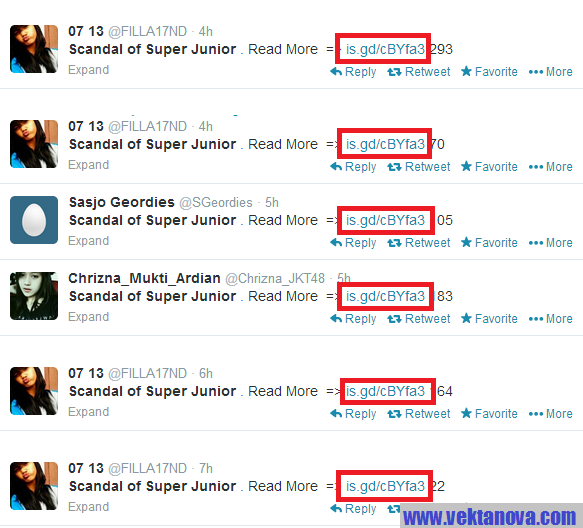 Recently known 'hacked' accounts. Links in the red square is how they spread the 'hack'. How did I get hacked? You probably ever clicked a link sent by the 'hackers', then you gave that hacker a permission to gain access and control to your Twitter. 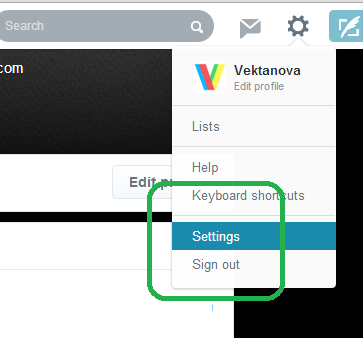 It's simple, all you have to do is going to Settings on the upper-right corner. While you're on the Settings page, click "Apps" on the left bar. Location of "Apps" tab at the left bar of the settings page. Then, you will see a list of applications for Twitter that being used, click on "Revoke Access" to all of it. (Or you can manually select the application you don't know or you think you never use, but it's safer to revoke every application). The Apps page section where you have to click the "Revoke Access". After you finish revoking all access, your Twitter is no longer a zombie. All you have to do is now deleting all the tweet posts that the virus made to prevent your friend's Twitters of getting hacked. Is it really virus? Or some new way of hacking? No, it's actually not. It's only auto-program that gives command to Twitter to tweet those things. It's only little script that made by programmers, they don't know your password, so don't worry. What happen if I don't fix this? Of course your Twitter will always post some tweets and random links to spread that script to gain access and control to your follower's Twitter accounts. If you let it for a long time, you will lose your followers because they are thinking that they are being spammed. And furthermore, your Twitter account could be suspended. If you see this in the picture below. A picture of application authorization page that requires your permission. 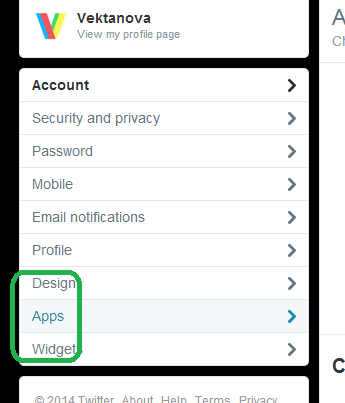 This picture shows a harmful application disguising itself as TweetDeck to get your trust to access your Twitter by clicking "Authorize App" button. See picture above, never click at the "Authorize App", UNLESS you are really going to use the mentioned application. e.g. : Never give an authorisation from any app until it is trusted enough. 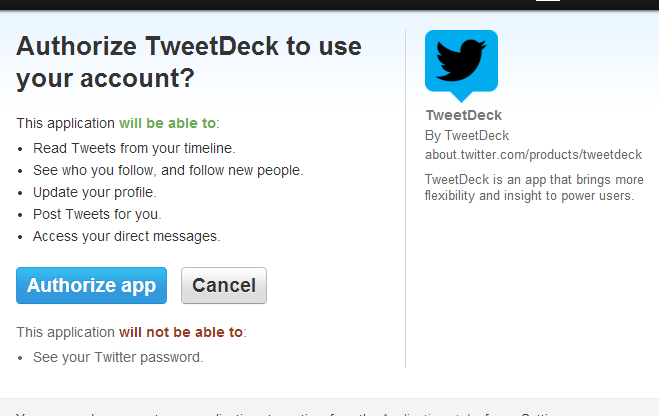 Never give authorisation to TweetDeck if the authorisation page is not coming from the TweetDeck app. 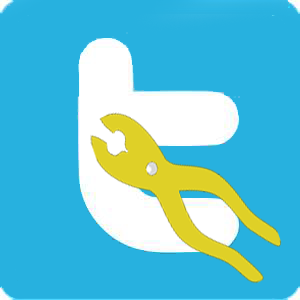 No response yet to "Fix and secure your hacked Twitter account"